Indiana lost for the eighth time in nine games on Thursday as the Hoosiers fell 77-72 to Iowa at Simon Skjodt Assembly Hall. The loss dropped Indiana to 13-10 overall and 4-8 in Big Ten play. 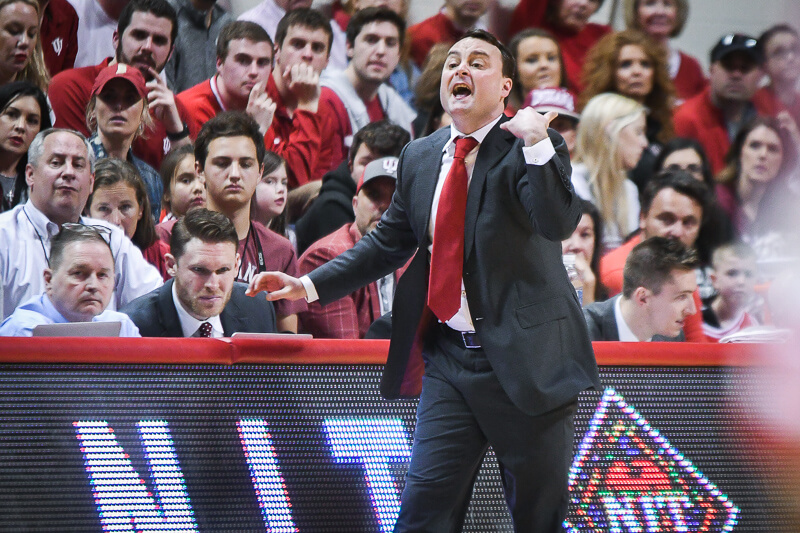 • Poor first half defense digs a major hole: Indiana’s margin for error is small – particularly against strong offensive teams – and the Hoosiers allowed Iowa to get too comfortable in the game’s first 20 minutes. The lead Iowa built in the first half forced Indiana to play from behind for the entire second half and the Hoosiers were unable to get closer than three after intermission. Iowa scored 46 points (1.29 PPP) in the first half on Branch McCracken Court and zapped some of the energy from the crowd with its 3-point shooting. The Hoosiers lost shooters in transition and in other cases, simply didn’t get hands up on closeouts as Joe Wisekamp and Jordan Bohannon combined to knock down six of their eight attempts from distance in the first half. Given that Wieskamp has shown little ability to shoot from the midrange all season and Bohannon is weak as a finisher at the rim, Indiana’s failure to close out properly on shooters was a fatal error. • Morgan’s foul trouble proves costly: Juwan Morgan has played the role of undersized five for most of this season (and often last season, too) and his inability to stay out of foul trouble is a consistent issue for the Hoosiers. On Thursday, he picked up his third foul just 1:48 into the second half. Miller took the risk of keeping him on the floor and Morgan fouled again just 1:23 later. He went to the bench at that point and remained there until the 7:34 mark. Indiana barely lost any ground with him on the bench (Iowa’s lead was seven when he went out and was eight when he came in), but playing Jake Forrester and Evan Fitzner is clearly a major dropoff from Morgan. 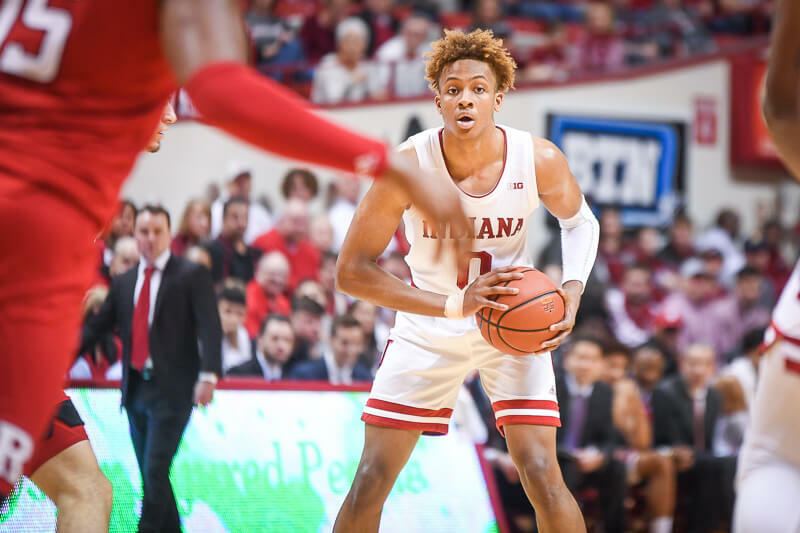 • Romeo Langford’s efficient night: It’s hard to look at the final numbers and grade Romeo Langford’s performance against Iowa as anything less than stellar. The future lottery pick scored a team-high 22 points on 7-for-12 shooting from the field, including 3-for-7 from behind the 3-point line. He also added five rebounds, two assists and just one turnover in 38 minutes. Langford’s defense on Wieskamp in the second half was also crucial as the Iowa freshman managed just one point after intermission. 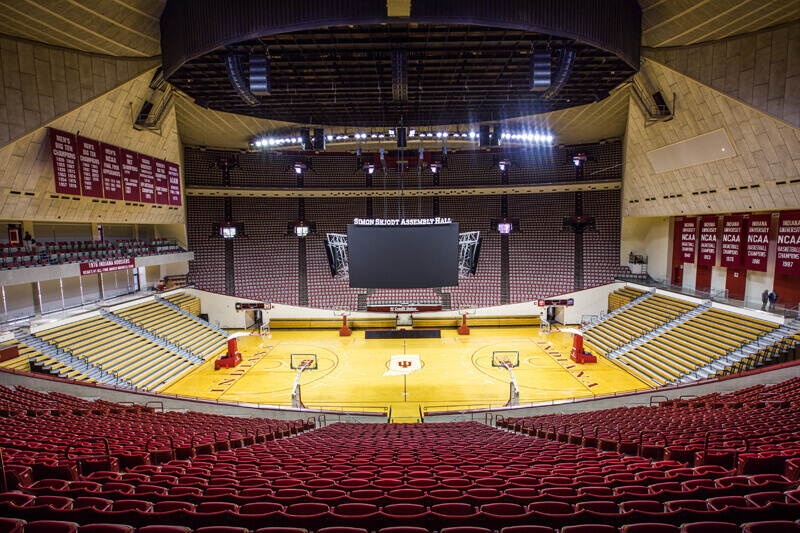 • A mixed bag for Indiana’s juniors: De’Ron Davis and Devonte Green, who were both crucial in Indiana’s overtime win at Michigan State, again played significant minutes on Thursday. Davis was very good once again as he finished with four points, five rebounds, seven assists and no turnovers in 23 minutes. The Colorado native still has a ways to go with his conditioning, but he’s definitely a positive when on the floor. Green, however, was just 1-for-5 from the field and committed four of Indiana’s 12 turnovers. Each of Green’s first three turnovers led to points for Iowa. At the 9:39 mark of the first half, a bad pass by Green led to a Nicolas Baer 3-pointer just 10 seconds later. Another errant pass from Green exactly six minutes later led to a Tyler Cook bucket and foul that pushed Iowa’s lead to seven. And then less than two minutes later at the 2:21 mark of the first half, Green lost the ball and Jordan Bohannon made a 3-pointer six seconds later to push Iowa’s lead to 10 at 42-32. 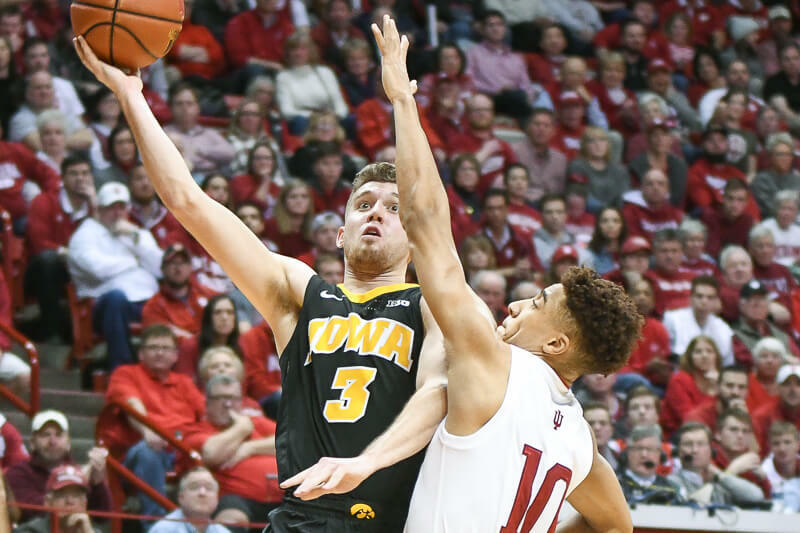 • Give Iowa credit – the Hawkeyes earned this win: This was Indiana’s third straight loss in Bloomington, but it felt much different than previous setbacks to Nebraska and Michigan. The Hoosiers were beaten badly by the Huskers and Wolverines and rarely showed the fight necessary to compete. Indiana didn’t play poorly on Thursday – and Miller said as much in the postgame – but Iowa was simply better. The Hawkeyes have one of the Big Ten’s most well rounded offensive units with Bohannon acting as the maestro on the perimeter and Tyler Cook scoring in the post. It’s a difficult combination to stop and it was made even more difficult in the first half as Wieskamp got free and splashed in four 3-pointers.